Email is pretty much the perfect marketing tool for higher education. With email marketing universities and colleges can attract new students, solicit alumni donations and effectively communicate with future students, past and current students. When targeting prospective students, universities and colleges need to take into consideration that the average age of their target audience is 16 to 18 year olds and therefore the majority of students will be checking their email from a mobile device. In fact, regardless of the age of your audience, new data from the US Consumer Device Preference Report: Q4 2013, 65% of all email is now being accessed via mobile devices in the U.S.
We’re all familiar with the importance of responsive design for websites, particularly when you’re in the business of marketing to students who never leave home without their smart phones and tablets. In the same way, it’s imperative when sending out email campaigns to have them optimized for mobile. There is something inherently frustrating about being unable to correctly read an email on a mobile device that makes you instinctively want to hover over the delete icon. Email will normally have only have one or two links to different locations as the function of an email is to direct the reader to visit a particular page. Are not supported on all clients and some clients will overwrite them with built in queries (web based clients). Not all clients support HTML therefore a number of browsers will remove html commands; this will break the layout of your email causing it to display incorrectly. There are currently no standards for email designs. Create a link to the page you wish to navigate the person to. All the sections will be designed within one page; using inline CSS as not all clients support media queries. 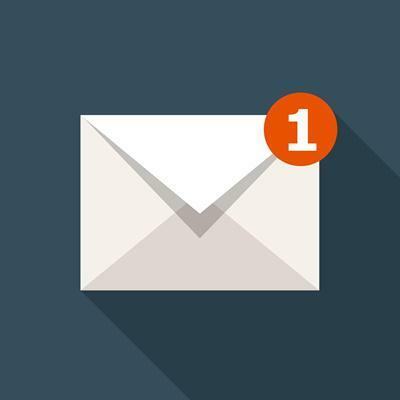 Email is a channel that can consistently deliver high-quality prospects particularly when clean and responsive in design, in-line with the university’s brand and the subject matter is relevant to its intended audience.